It has long been recognized that the nega-watt, energy no longer needed due to efficiency improvements, holds similar value to the mega-watt, energy produced to feed the need of the electric grid. Grid stability relies on the fact that energy produced must match the energy load at all times necessitating a complex, dynamic and expensive dance between energy production and use. More so than ever before, energy efficiency plays a central, lowest-cost, role as a grid resource. 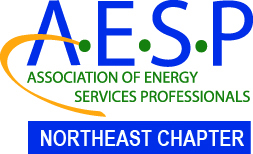 With presentations from industry experts, this EBC program will dig into the details of this dynamic from the regulatory frameworks that value efficiency, to the impact on utility business models, to the newer technologies, like in-home batteries, home energy management systems, and demand-response programs that will enhance the grid-value of efficiency even further. General Continuing Education Certificates are awarded by the EBC for this program (3.5 training contact hours). Please select this option during registration if you wish to receive a certificate. Following the Speaker Presentations will be a Panel Discussion.